Parenting twins is an adventure! If you're planning on leaving the house with your twins you're going to need thick skin. There are some people who are going to say rude things but most are just curious and want to see twins. 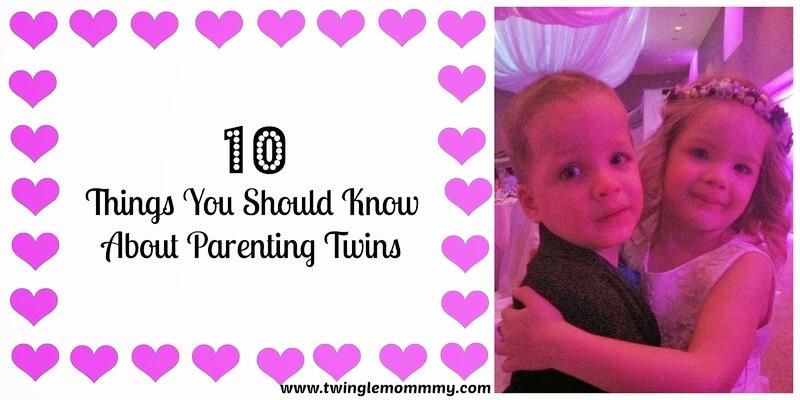 For those of you who are curious about what it's like to parent twins, here are 10 things you should know. 1. They are individuals! Everyone wants twins to act the same, dress the same, and like the same things but they do not. They are siblings and not all siblings like the same things. Please, please don't ever refer to them as twins. Ever! It's the equivalent of calling your singleton boy or girl. We have a neighbor who will say to Mark or Molly, "Oh hi twin, how are you today?" It drives me insane, they have names, use them! 2. Yes, we do love to post e-cards about twins and wear twin parenting shirts. We can't help ourselves, it's ok to roll your eyes and scroll past our cards on Facebook. I do the same thing to all the million Walking Dead references. 3. You are allowed to have a bad day even though you don't have twins. I cannot tell you how many times I've had a friend apologize for complaining about her tough day in front of me since I have twins. It's really not necessary, my having twins doesn't make your day better. 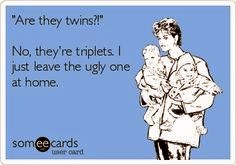 Just like my sister in law having triplets doesn't make my life any easier. 4. It's not two for the price of one! We pay for two wardrobes, meals, toothbrushes, beds, pillows, toys, cups, sports teams, school tuition, and on and on and on. Even before their birth we are paying for two kids. We pay for 2 ultrasound co-pays since they're are two babies getting an ultrasound. 5. Built in playmates are awesome! I love being a twin mom and one of the best perks is the built in playmate. My twins always have a friend to play with and they have yet to tell me that they're bored. 6. It does get easier, but it never gets easy. 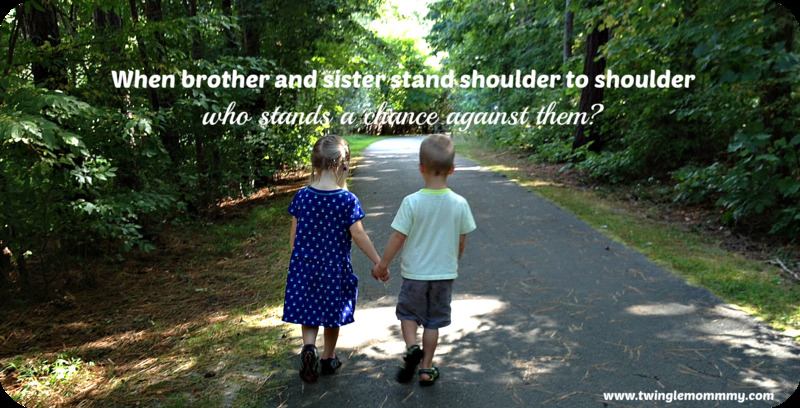 When my twins were infants I kept asking other twin moms when it got easier. They always said it didn't but that it gets different. I think that is wrong. Trust me it's easier once everyone sleeps through the night. It's even easier when everyone can finally use the toilet without help. But I'm sorry to be the one to burst any new twin parent's bubbles, it doesn't get easy. Ever. Just like parenting doesn't get easy with one kid. 7. The rules change when you have twins. I had a singleton first. There were things that I did with my singleton that were impossible with my twins. The most glaring example of this is nighttime feeding for twins. One twin is always the first to wake up leaving you with a choice, feed one and then the other when she wakes up and never sleep. Or wake a sleeping baby for a feeding. 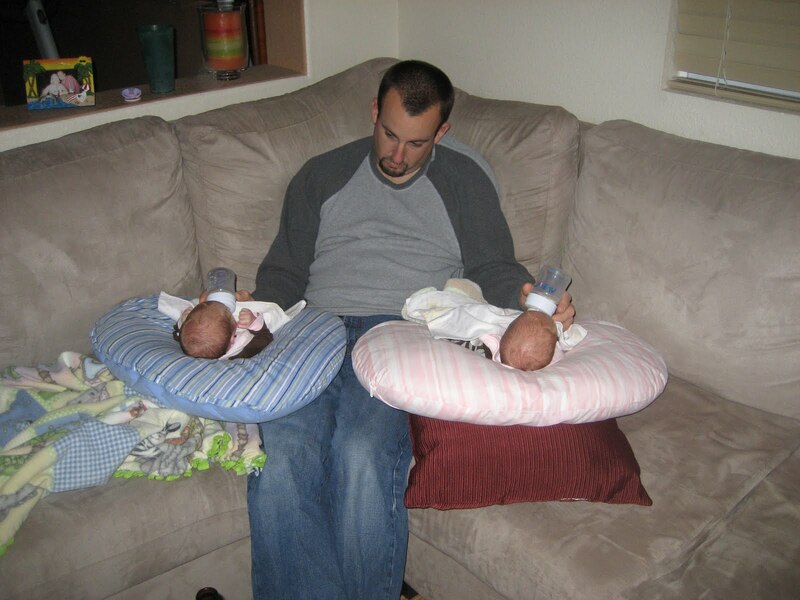 I have yet to meet a parent who fed her twins on demand. The first kid to wake up set the schedule. I woke a sleeping baby multiple times a day with my twins. 8. We are in a club. When I meet another twin parent we have an instant bond. It's the same way when I meet another parent with a child with special needs; you're parenting in the same club. 9. Not all twins are the result of fertility drugs and it's rude to ask. Why? If you can't figure that one on your own you will never get it so there is no point in my explaining it. By the way, asking if twins run in the family is just a somewhat less offensive way of asking about a person's fertility. 10. We love our children and struggle trying to figure out what is right for our family and kids. We make mistakes, question our parenting, and have good and bad days just like all parents. Our families might be larger than yours or our kids are closer in age, but we just want is best for our kids. I LOVE this post. You do a perfect job of balancing the good, the hard and the awkward in a way that captures the reality of MoMhood! Thanks for visiting Oatmeal Smiles today! I am so glad to find your blog. I had NO idea you have to pay for two ultrasounds? That's crazy... We always said we wanted twins (like we had a choice)- but all if took was getting to 30 weeks pregnant with a singleton to realize you guys are in a club all your own. I got so huge I really can't imagine two in there! I'm glad you're blogging- I'm sure this reaches so many other twin mommies.